A young king in the Ndutu region of the Serengeti. This prolific area is hotly contested and any territory held in paradise comes with the fiercest of competition. 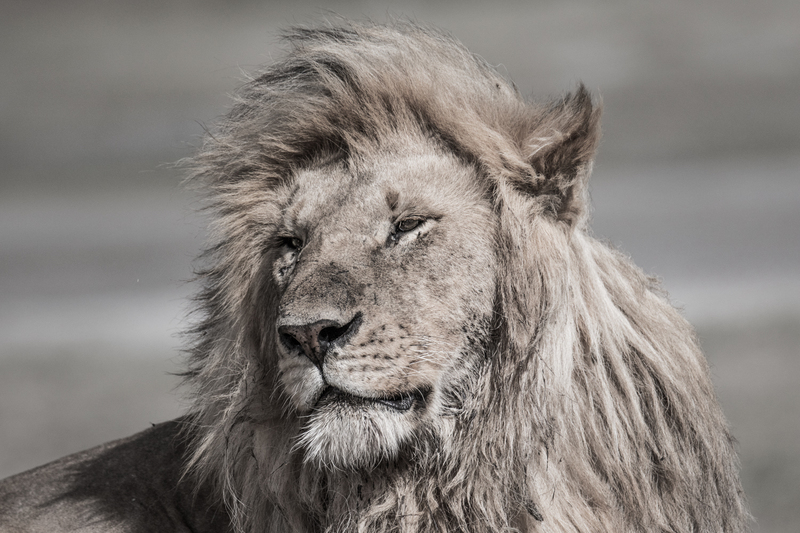 This lion, along with his brother are dominant males in the area. Big, tall and athletic, they have a long future ahead of them as kings of the land. Prices are in US dollars. Postage is included. Unframed prints are supplied carefully rolled in a solid tube. Allow 2 weeks for delivery from proof of purchase. All purchases are securely processed by PayPal. For custom size prints please contact sam@africaninsider.co.za. Each print is signed and numbered by Brad. All prints are Archival giclee prints, printed to art gallery standard using long life quality inks to ensure light, fast durability. Each print is printed with a wide paper border all around. Each print is checked to ensure quality before it is sent to the buyer.